We are the Proud Sponsor of three Very Impressive Show Winning Cars. Whatever we do we will always elevate our sponsored show cars by being one of a kind, show winning, headturning team. Click for more info and to view pictures of these cars. Stay with us as we follow Eric in his travels to many car shows in his area. Click for more info and to view pictures of this Truck. The Gallery Includes random pictures of Cars, Trucks, Motorcycles, and boats etc, all with LED or Neon Lights installed on them for your viewing enjoyment. 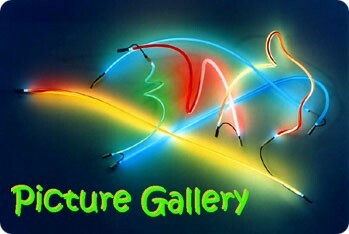 View pictures in the Gallery.